Plugs Into The Factory Harness Without Cutting Any Factory Wiring. Harness Features Interface Sends Proper Data Commands To Vehiles Computer To Indicate A Healthy Status. 2003 - 2004 Silhouette. Standard Color Coded Wires Provide A Consistent And Simplified Installation. AXXESS AX-FD1-SWC. 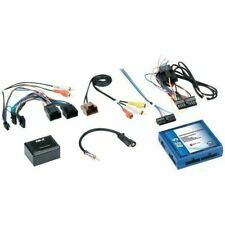 Radio Installation Kits. 2007 - 2010 Edge. 2007 - 20014 Expedition. 2010 - 2012 Taurus Lincoln. 2013 F-150 STX/FX2 Base/XLT Base. 2007 - 2010 MKX. 2014 F-150 STX/XLT Base. Dash kit for 2010-2014 Ford Mustang with basic radio. works with Maestro ADS-MRR module to allow installation of select Kenwood or Alpine touchscreen receivers in 2010-14 Ford Mustangs. includes dash console to match Ford Mustang dash. Complete Set--AS PICTURED! Includes Pamphlet! (Sx3) PROFESSIONAL INSTALLATION REQUIRED! Note: You must use the FDMM in conjunction with the FDASX adapter (#541FDASX). - Factory Radio. - Signal Processors. - Installation Harness. - OEM Harness. Car Audio Accessories. - Signal Path Devices. • Ford Crown Victoria (base audio system) (2003-2005). • Lincoln Aviator (2003-2005). • Ford Crown Victoria (1998-2002). • Ford Econoline Full Size Van (1998-2005). • Lincoln Blackwood (2001-2003). • Ford Escape (2001-2003). • Ford Escape (with 7 speaker system) (2004-2005). • Ford Explorer (Audiophile sys. w sub) (2004-2005). This includes blown speakers with burned voice coils. High quality plastic connectors always fit perfectly. Includes Harness and Pamphlet ONLY. This is the Version WITHOUT the LCD accessory. PROFESSIONAL INSTALLATION REQUIRED. Includes Interface Module ONLY! No other accessories are included. (Sx2) PROFESSIONAL INSTALLATION REQUIRED. Resolve any issues quickly and fairly. Used in non amplified models or when bypassing an amplified system. Fiesta (without MyFord Touch) 2014-up. To be used as a jumper bypassing the factory amplifier. Plugs into Pre-Amp Harness and into Speaker Harness at amp. Plugs into Car Harness (Power and Pre-Amp) plugs into Amplifier Harness and into Speaker Inputs. Axxess AX-FD1 Radio Replacement Interface for 2007-15 Ford Lincoln Mercury. FORD Econoline Full Size Van 1998 2008. FORD Crown Victoria 1998 2002. LINCOLN Continental 1998 2002. MAZDA B-series Pickup 1998 2009. LINCOLN Aviator (Early Production) 2003 2003. FORD Explorer 1998 2001. 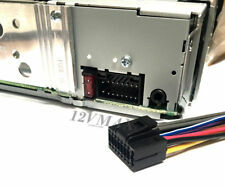 Speaker Harness Adapters for select Chrysler, Dodge, Ford, Jeep vehicles only. It is important to us that if you see our products being used in the lanes, that you have access to obtaining those products.